Stern Army at World Famous Rock Fantasy! 6 Rounds of Group Match Play on each event date. 7pm start. Please check Rock Fantasy Pinball Page on Facebook to confirm date or call the shop at 845-343-7300 during business hours!!! Aggregate match play points over 2 monthly events will determine monthly final standings submitted to IFPA each month. 5-3-2-1 scoring in 4 player groups or 5-3-1 scoring in 3 player groups. $5 entry fee for each event plus coin drop, includes $1 IFPA participation fee. Remaining prize pool paid to top 3 players on each event date, and maybe more payouts depending on attendance. Also a 'B' Division prize winner (B Division = IFPA rank 1000+ that does not win a prize otherwise). 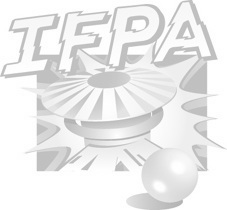 Players may opt out of IFPA participation fee in advance. Friendly competition, open to all skill levels.